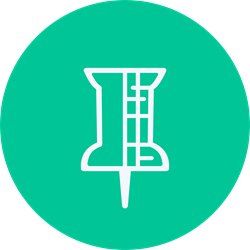 Pushpin allows us to leverage that investment by identifying changes in parcels without costly on-site inspections. As part of its continuing efforts to increase office efficiency, the Lee County property appraiser's office has partnered with Pushpin, a Minneapolis-based technology company. Using machine learning to analyze multiple years of aerial photography, Pushpin determines what kinds of changes, if any, have been made to county parcels and provides that data in an intuitive way to office staff for analysis.